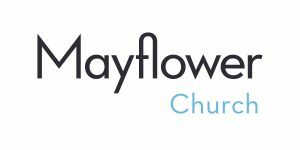 Mayflower Church offers support to its members through the joys, transitions, and crises in their lives. Ordained clergy, trained lay ministers, Befrienders, and a variety of networks, groups, and programs provide means to respond to individual situations. The pastoral staff provides counseling, direction, and guidance regarding health crises, death and bereavement, spiritual quests and discernment, vocational decisions, life transitions, and other family or personal matters. They make referrals when other professional support is appropriate. Mayflower’s ordained ministers respond to requests to visit with people in homes, hospitals, work settings, care facilities, and other settings. A Spiritual Director also is available for insight, guidance and support. This group welcomes anyone involved with a person with dementia – spouse, adult child, family members, friends and neighbors. The support group is free and open to all and is facilitated by Dale Stuepfert and Brian Buxton. Many members are helping a neighbor or family member with dementia, daily or on occasion, near or far. Unwind and find confidential support with others in similar situations. Most attendees order dinner. Contact: Kay Hatlestad, 651-247-3987 or kay@hatlestads.net, to RSVP — or just show up! Listen to a recent Readers Theatre on dementia here. Lay members of the congregation trained as Befrienders also are available to the congregation during periods of crisis or transition. The Befriender ministry at Mayflower reflects a concept of Christian caring modeled by Jesus. Befrienders offer loving hospitality in a quiet, confidential manner. As a ministry of caring, listening, and compassion, it offers presence and support when life is a struggle and experiences are painful. Befrienders are men and women who commit time to initial and on-going training, peer support, and supervision. A Befriender offers confidential support through face-to-face conversations, phone visits, and written or electronic correspondence in a way that best meets the needs of the particular relationship. Volunteers deliver hot dish meals to Mayflower members experiencing significant challenges or life crisis. If you like to cook (or even if you don’t! ), this is a fun and easy way to interact with other Mayflower members at a time when they need additional comfort and support. To volunteer, contact Gretchen Griffin: (612) 823-7813. Mayflower Addiction Recovery Support ministry (MARS) works to provide a safe, supportive, nonjudgmental resource for those seeking help in understanding and preventing alcoholism, substance abuse and other forms of addiction. We meet monthly to plan and to provide a time and place for members who have been affected by addiction to meet in mutual support. We recognize that recovery is a life-long journey and not a quick fix, requiring — with God’s help — a strong personal commitment and daily effort. We understand addiction is family disease, borne by more than just the alcoholic/addict. And we understand that addiction is a disease of isolation. Only in community with others do support and succor work their power to heal. We are all powerless, but together we are strong. Many members of Mayflower knit prayer shawls. During the year, the ministers take these shawls to people in the congregation who are ill or struggling with life challenges. In addition, each high school senior is given a prayer shawl on Youth Sunday in June to take on the next step of the life journey. A group of faithful people at Mayflower regularly set aside time to pray for the needs of our faith community. These “Mayflower Monastics” surround Mayflower, our members, visitors and friends in a continual spiritual embrace of prayer. This is done in private, as they take time from their busy lives to hold before the Divine the concerns of our people, our church, and our world. It is a highly confidential practice. Our pastors learn of the needs of our people and, with permission, pass those concerns along to the Prayerways group. The members of the group never speak to anyone of the needs that they are holding in prayer, not even to the individuals for whom they are weaving an invisible tapestry of support and love. But they do speak to God about the concerns. Prayer requests may be left by voice mail, request cards, and in person. All requests for prayers are handled with confidentiality. To request a prayer, call (612) 824-0762 ×113. To become a “Mayflower Monastic,” contact the church office or Helen Maddix. One of the most amazing results of praying for others is that you yourself will be uplifted, renewed, and strengthened. Our dream is to create an intentional community for Mayflower elders: a place that promotes aging with purpose and aging with the highest quality of life; a place that is near Mayflower to help Mayflower elders stay connected to worship and church activities; a place that embraces intergenerational connections with Mayflower children and youth, the Mayflower Early Childhood Center and Creekside Commons; a place that honors the diversity of the Mayflower community; and a place that promotes Mayflowers vision of justice through active and engaged elders. Our focus has turned to co-housing, which we believe could be a foundation for continuing this dream. Read more. The Threshold Ministry is a group of Mayflower folk who are spiritual friends for our congregation in the time leading up to the anticipated death, at the time of death, and during the grieving time following the farewell. Read more here. If you are interested in having the Threshold Ministry offer you support, contact the pastors or Diana Robertson or Maggie O’Connor. Call (612) 824-0762 ×113 and the minister on call will respond to your message. This number is checked several times per day.